Alan Campbell was born in Falkirk, Scotland, and grew up there before moving on to to study Computer Science at Edinburgh University. After graduating, he worked for DMA Design, Visual Sciences and Rockstar, developing video games: Body Harvest for the Nintendo 64, Formula One 2000 for the Playstation, and the Grand Theft Auto series on the PC and PS2. After finishing Vice City, he left to pursue a career in photography and to write. Learn more at Alan Campbell’s website. Deepgate Codex — (2007-2012) Lye Street is a prequel. Iron Angel is called Penny Devil in the UK. Publisher: Suspended by chains over a seemingly bottomless abyss, the ancient city of Deepgate is home to a young angel, an assassin, and a psychotic murderer hungry for revenge — or redemption. But soon a shocking betrayal will unite all three in a desperate quest… The last of his line, Dill is descended from legendary Battle-archons who once defended the city. Forbidden to fly and untrained even to wield the great sword inherited from his forebears, he has become a figurehead for a dying tradition. Now he lives a sheltered existence in one of Deepgate’s crumbling temple spires under the watchful eye of the Presbyter who rules the city. Spine assassin Rachel Hael has better things to do than oversee the Presbyter’s angel. Each dark moon she must fight for her life among the city chains, hunting an immortal predator with a taste for blood. 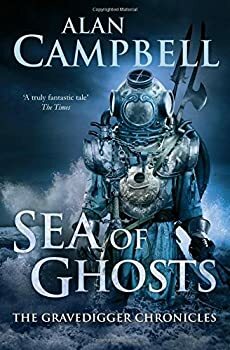 But when a traitor brings enemies to Deepgate’s doorstep, Dill and Rachel are forced into an uneasy alliance with the city’s oldest and most dangerous foe. They must journey down into the uncharted chasm to save their sprawling metropolis — and themselves — from annihilation. Once they descend however, they learn that what lies below is far more sinister than what they’ve been taught to expect. 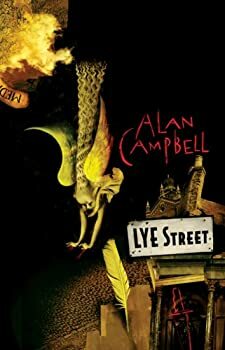 Lye Street is a 135 page novella exclusively available from Subterranean Press in two unique, limited editions — a fully cloth bound hardcover signed by the author (numbered to 2000) and a signed leatherbound copy housed in a custom traycase (numbered to 26). Cover artwork is provided by Dave McKean — longtime Neil Gaiman collaborator and noted CD cover artist — while the wonderful interior illustrations are done by the award-winning Bob Eggleton. Alan Campbell's Scar Night is the first book in a proposed trilogy (Deepgate Codex) and it’s a decent and intriguing start, though one hopes that succeeding books do a much better job of realizing the potential in the backstory than Scar Night itself does. 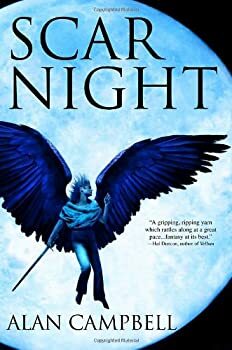 I thought Scar Night, the first book in Alan Campbell’s Deepgate Codex, never really reached its potential in terms of story, character, or richness of imagination and detail. It had enough to keep my interest piqued in the series, but I can’t say I was holding my breath for book two. 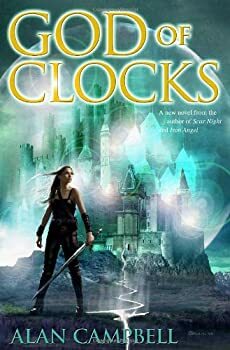 God of Clocks is Alan Campbell’s third (and I believe final) book in his Deepgate Codex. 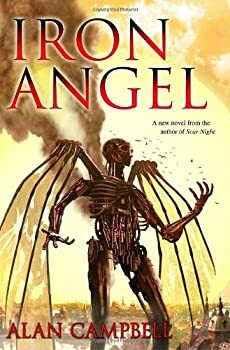 It is (save for the ending) better than Scar Night, but nowhere near as strong as Iron Angel. Alan Campbell has been on my TBR list for years, but I still haven’t managed to get around to reading his DEEPGATE CODEX. 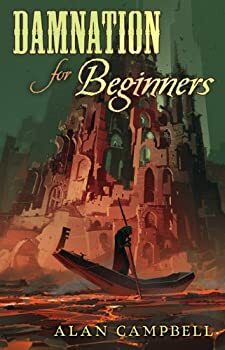 That is going to change soon, though, because I just finished his novella Damnation for Beginners which takes place in the city of Cog in the DEEPGATE CODEX world.